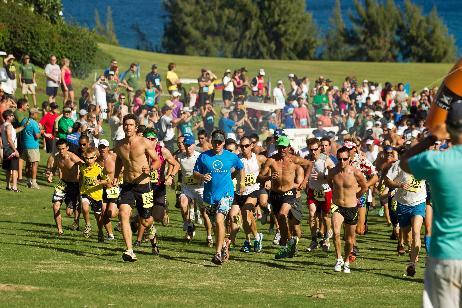 Princess Nahiʻenaʻena Elementary School was named the ‘Fastest School in Lahaina’ for the 3rd year in a row at the 2018 XTERRA Kapalua Trail Runs. 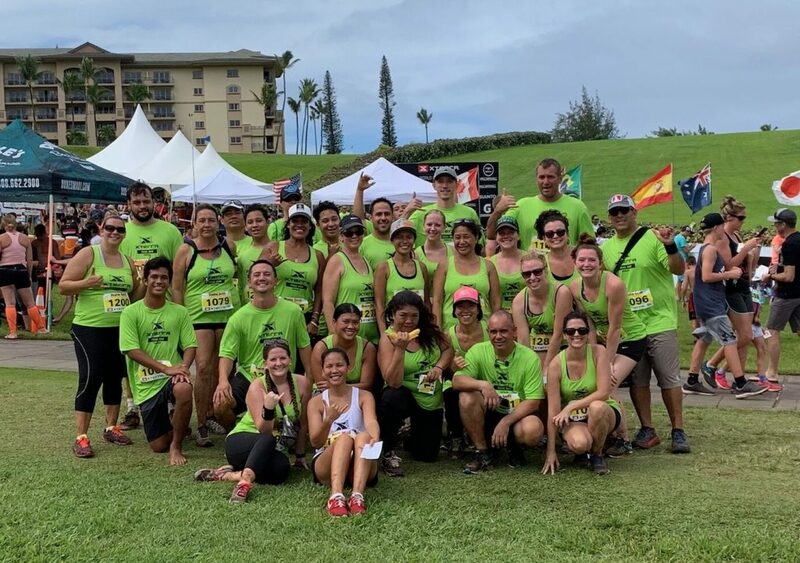 Princess Nahiʻenaʻena Elementary School Staff at the 2018 XTERRA Kapalua Trail Runs. PC: Dukes Beach House. Four Lahaina schools raced for the title of ‘Fastest School in Lahaina’ this year: Lahainaluna High School, Lahaina Intermediate School, Princess Nahiʻenaʻena Elementary School and King Kamehameha III Elementary School. The times of the top 5 runners from each school were averaged to determine the title designation. 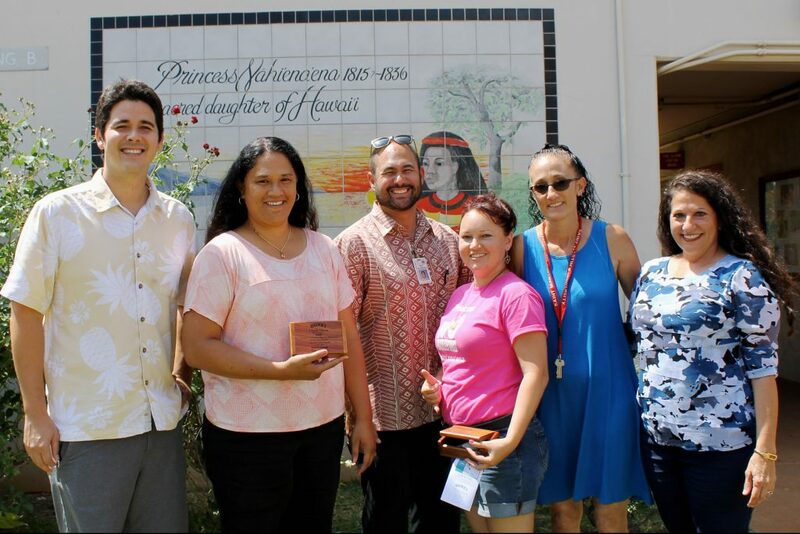 The winning 5K team from Princess Nahiʻenaʻena Elementary School included Ian Haskins, Lukas Bernard, Natalie Hoffert, Alex Ono and Floribel Elies with an average time of 38:08. All four schools who competed in the 5K trail run were sponsored by their partner T S Restaurants. The team will be presented with the perpetual XTERRA Teacher’s Race Trophy. The Maui T S Restaurants each partner with a Lahaina School as part of their Legacy of Aloha Program: Kimo’s with Lahainaluna High School, Leilani’s on the Beach with Lahaina Intermediate School, Duke’s Beach House with Princess Nahiʻenaʻena Elementary School and King Kamehameha III Elementary School with Hula Grill. 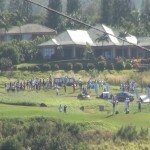 In addition to the XTERRA Kapalua Trail Run sponsorship, the T S Restaurants also sponsor monthly Educator Awards for their respective schools.